After a brief stop at Ebor Falls (which are actually really impressive, with great columnar rock formations) I stopped in at Cathedral Rock. It was really astonishing to see the change in the landscape from Dorrigo (which is all rainforest) over only about 60km. Cathedral rock NP, by contrast, is really quite alpine, with heathy swamps and snow gums. I was amazed by the beauty and novelty of this landscape. I don't think I'd even heard of this park before! 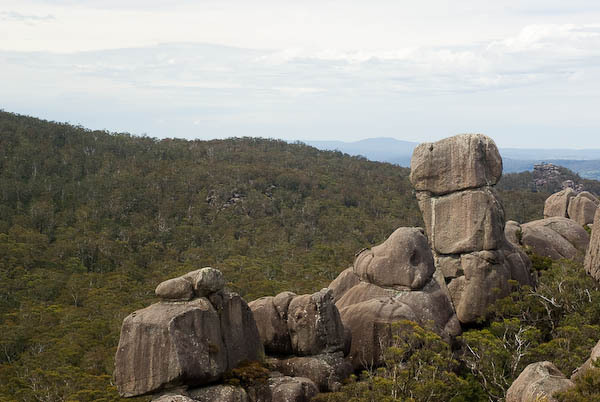 There's a great walk that goes around the rock (which is actually one of the highest points on the New England tableland; it even gets snow up there!) and a scramble to the top. I loved this part and ended up spending a great bit of time up on top, rock-hopping, climbing and scrambling around the big granite boulders. Back at the campground I met a couple from Thun, Switzerland, and ended up chatting and hanging around with them quite a bit over the next couple of days. As night fell I headed back along the track to check out the local stream that had looked pretty promising. 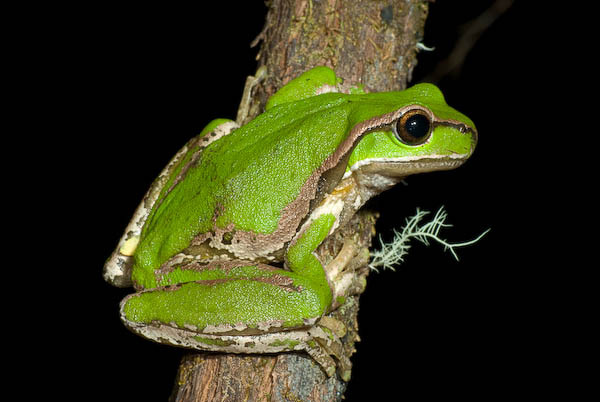 I didn't hear anything calling but spotted some eyeshine which turned out to be a New England treefrog (Litoria subglandulosa) - another threatened species and a very beautiful one at that! I was stoked as here was a very pretty species I'd never seen before. 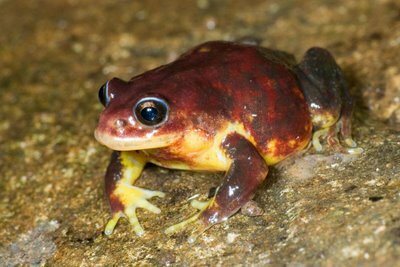 Then a little further on I heard a staccato call and found a very photogenic Stuttering frog (Mixophes balbus)! Hey David. Awesome photo and brilliant website! I'm most impressed. It's great that you are disciplined enough to record everything (photos and notes) as you go along. Tim.